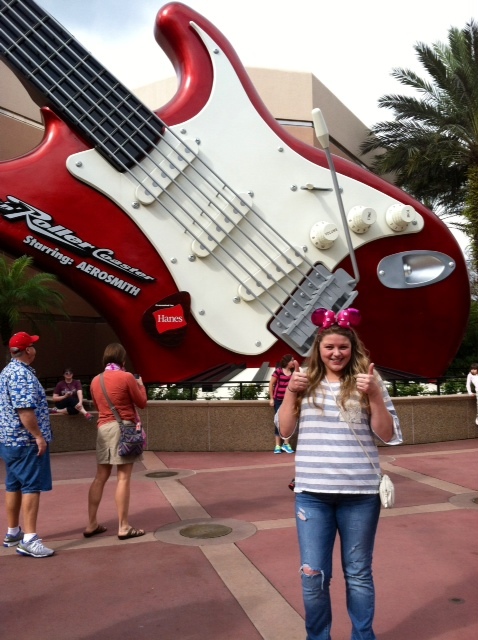 Erika in front of her favorite ride! My role was attractions! I ended up working at Animal Kingdom and I was placed at the Maharajah Jungle Trek. So at MJT, our role is to educate guests and answer all of their questions about all the different animals that are on our trail. We had a Komodo Dragon, Fruit Bats, Tigers, Banteng (Asian cattle), Eld's Deer, Blackbuck Antelope, and a ton of different birds from literally all parts of Asia. All the CM's rotate positions every hour or so, so it never got to be too much. We also worked the Flights of Wonder bird show at Caravan Stage, making sure guests knew about the show, directing them to seats, etc. Attractions wasn't my first choice (it was my second). I originally wanted concierge. In the end, I was so grateful that I got attractions. In my opinion, my job was one of the most fun ones you could have! I got to continuously talk to guests and make magic without worrying and being distracted by other things, such as operating a "real" attraction. My favorite parts about my job were that I was able to be an educator and advocate about all of our animals, and also teaching guests conservation methods! (^ see above for more favorite things). My least favorite part about my job was that I constantly had to repeat myself to guests. I hate sounding like a broken record. I was at the place in the trail where we have the Fruit Bats. A family came in and I just went up to them and started talking to them, since there were no other guests at the time. They had a little girl who couldn't have been more than 5 or 6 years old and she was in a wheelchair. I was talking to them about the bats and I knelt down and was talking to their daughter. I asked her who her favorite princess was. Her mom explained to me that she had cerebral palsy and isn't very responsive. She started to cry and told me that she loves how CM's treat her daughter like a normal person and thanked me for keeping the magic alive. It was really touching. My best friend told me about the program. I never even knew it existed to be honest. As soon as I found out a little more about it, I fell in love with the whole idea of working at The Happiest Place on Earth. 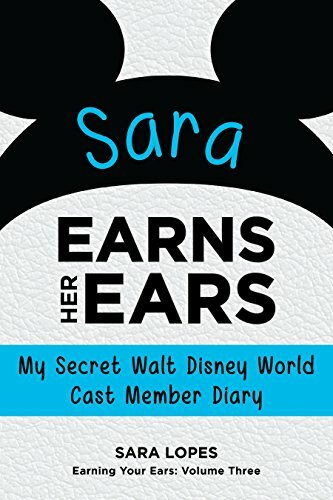 Disney was always a huge part of my life and I wanted to take it to the next level. I also loved the idea of meeting a ton of new people, and making memories that would last a lifetime. Not really! Like I said, I did a lot of research. I watched a ton of different YouTube videos about the program, and I just tried to gather as much information as I could. Since my role really wasn't the "typical" attractions role, just because you get chosen for Attractions you should keep an open mind. I honestly thought I was going to be placed at a ride. It could turn out to be anything! If you have any further questions, feel free to contact Erika through her blog, erika-in-wonderland!